Beautiful--I love the editing you did! That is such a beautiful photo! I love the texture you added to it. Thank you for the comment on my blog. It is so true - HE is the one who gives life. beautiful! I love the canvas-y texture! Love this so much! wonderful verse.. and your texture is cool! How lovely! 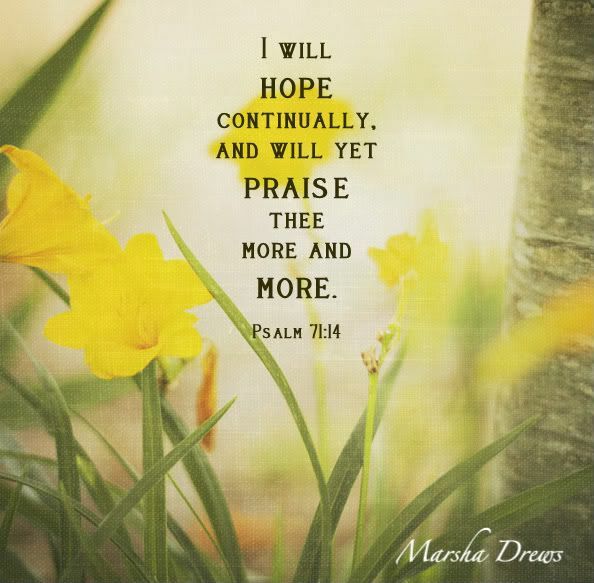 And what a great reminder to hope in the Lord. This is so beautiful! I love the texture you used. That verse is so encouraging! Beautifully done with a great verse. Beautiful shot and great verse! Those words are so precious to me and it's such a pretty scene aswell. I was meaning to send you an email during the week but never got to do it. 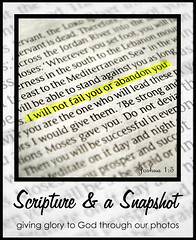 You asked about the font I used in last weeks scripture and a snapshot. I think it was Bosshole and that I got it from 'Kevin and Amanda' fonts for peas site - but I'm sure dafont would have it aswell for downloading. I love that texture! Pretty picture too. my baby sister's having a baby!